At Grace OPC, you will discover a vibrant community committed to the historic Reformed faith, to the full authority of the Bible, and to applied Christianity. You will find here a living orthodoxy -- the very intersection of truth and life. Each Lord’s Day we joyfully worship our God in Spirit and truth, celebrating Jesus’ completed redemption and His victorious resurrection. The bold preaching of God’s Word encourages our growth in grace and equips us to witness effectively to a lost world. In our singing and our praying we express our gratitude to God for His abundant goodness. And our times of fellowship enable us to encourage one another in living for Christ. Are you searching for a church that still believes the Bible? Do you long to worship the living God with reverence and awe? Do you desire to grow in your relationship to God so that you can live by faith? 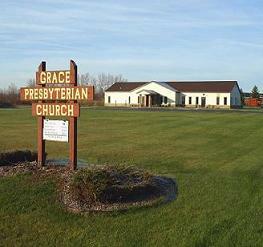 We encourage you to visit us and to see for yourself what God is doing at Grace Church!